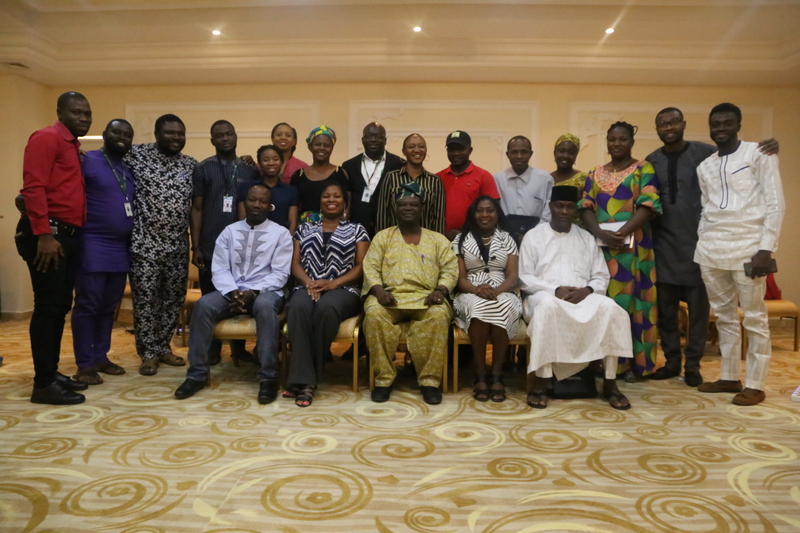 The PINNS project has been set to effectively adopt and implement strategic approaches; one of which is raising change agents who will drive transformation of the nutrition situation in Nigeria through effective Advocacy. This was a six (6) day intensive training that captured Advocacy and Leadership for 10 participants selected from the five (5) project states namely Kaduna, Niger, Nasarawa, Lagos and Kano, with the presence of key CS-SUNN project team members and Steering Committee members, totalling 20 participants. The training started on 8th of March and ended on 13th March 2019 which was held at Consort Hotel, Abuja. It was a participatory training with a lot of captivating methods in achieving each day agenda. The learning curve were centered on advocacy strategy, change agency, budget advocacy, and leadership. However, the knowledge and facilitation ability of the participants were tested using a pre/post-test and practicum. At the end of the training, it was expected of the participants to set a first line of action on how to cause a change which will create a ripple effect of change agency across respective states and consequently the whole nation.